15kg load capacity per crate. 350 kg max UDL (on bottom crate) when stacked. Food grade allowing for use in any environment. Tapered sides allow for economical nesting storage solution. 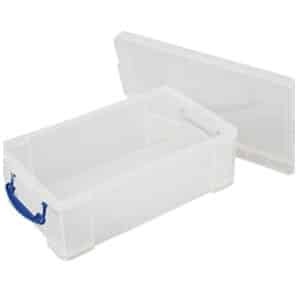 Great value containers to save space in storage and transit. 13kg load capacity per container. 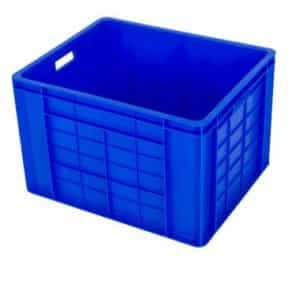 Made from polypropylene allows containers to be used from -20 degrees to +60 degrees. Ventilated sides allow for airflow. Internal dimension (H)180mm x (W)340mm x (D)520mm. Half open front for easy product access. 15kg maximum capacity when stacked (max 4 high). Great space saving and goods separation. Available as pack of 5. Internal dimensions (H)320mm x (W)440mm x (D)340mm. 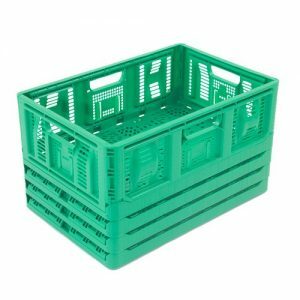 Separate goods within wire storage baskets allowing for . 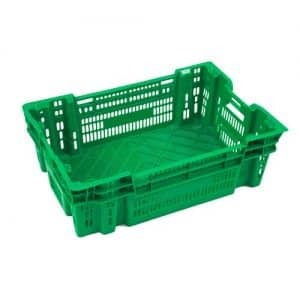 Choice of red‚ green or blue dividers to match your baskets. Price shown is for one divider. 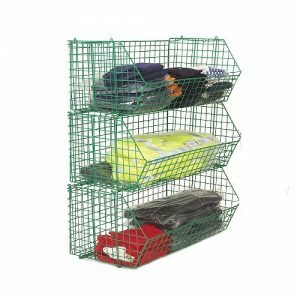 Please ensure you select the correct depth divider to match your wire mesh basket. Welded steel with plastic coating to prevent corrosion. Open mesh construction allows instant product recognition. Available in red‚ green or blue. 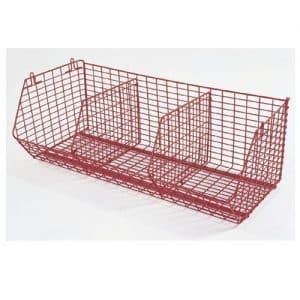 Baskets can be stored up to 4 high saving space for additional displays. Dividers available as an optional extra. 8 large containers and a mobile dolly. 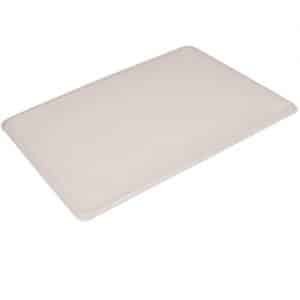 Top cover included for stability. 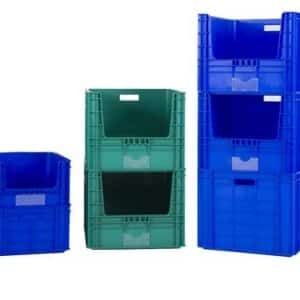 High quality very strong storage containers. 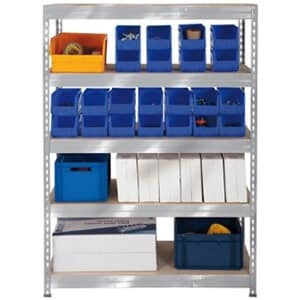 Interlock to form a neat and tidy storage system. Each container has 97 litre capacity. (H)1740mm x (W)1030mm x (D)640mm. 16 small containers and a mobile dolly. Each container has 36 litre capacity. (H)1900mm x (W)810mm x (D)500mm. 36 or 97 litre box capacity. Matching dolly available for easy mobility. Large take 55kg each & will stack 5 high. Small take 30kg each & will stack 10 high. 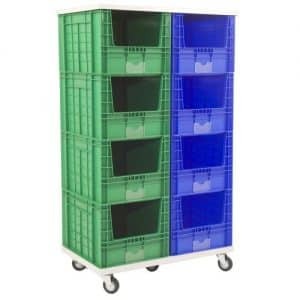 Available in 2 sizes for both small and large container units. 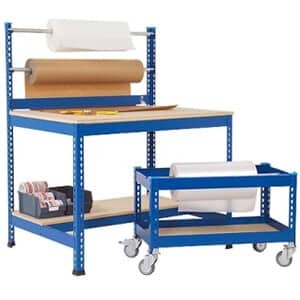 Increased stability for the stacking unit. 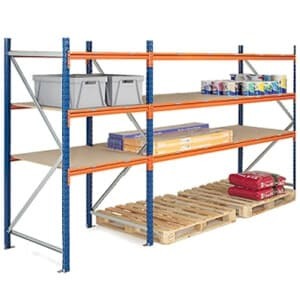 2 sizes available to suit all storage containers. Takes 2 containers side by side. Choose between 36 or 97 litre capacity. 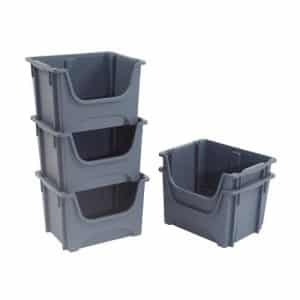 Large containers hold up to 55kg each. Small containers hold up to 30kg each. 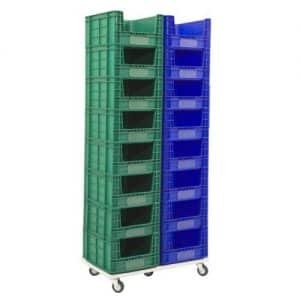 Choice of Blue or Green Containers. 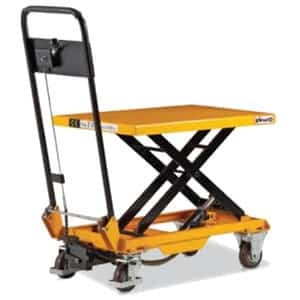 Mobile dollies available for each size of container.